For our ongoing look at inquiry in the curriculum, the teachers in the group chose Social Studies as an area of focus for the third term. 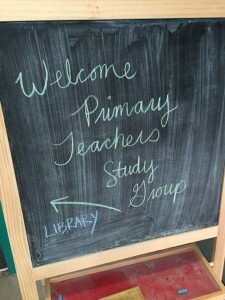 When we met in April at Blair (thank you Jaclyn and Karen), teachers shared what they had been doing since we last met and then our new area of focus was introduced and discussed. 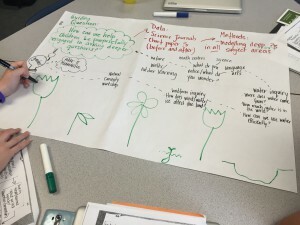 We looked at an overview of the K-3 curriculum, focusing on big ideas such as community that tell a story across grade levels. 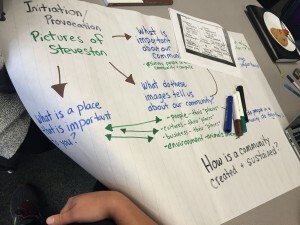 Connecting to the First Peoples Principles of Learning and the Core Competencies, ideas of place, story and self-identity were discussed. Several books and resources were made available to teachers: the new K-2 Social Studies and Science big books from Strong Nations, Shi-shi-etko by Nicola Campbell, a photo book of Places in our Community and then some materials from the Richmond Museum and Archives – self-guided tour books of different regions of Richmond and a set of archival photo postcards. 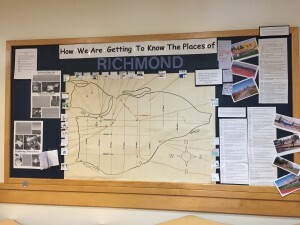 Jaclyn and Karen from Blair shared their ongoing inquiry into place – connecting both Social Studies and Science through their investigation of Richmond. 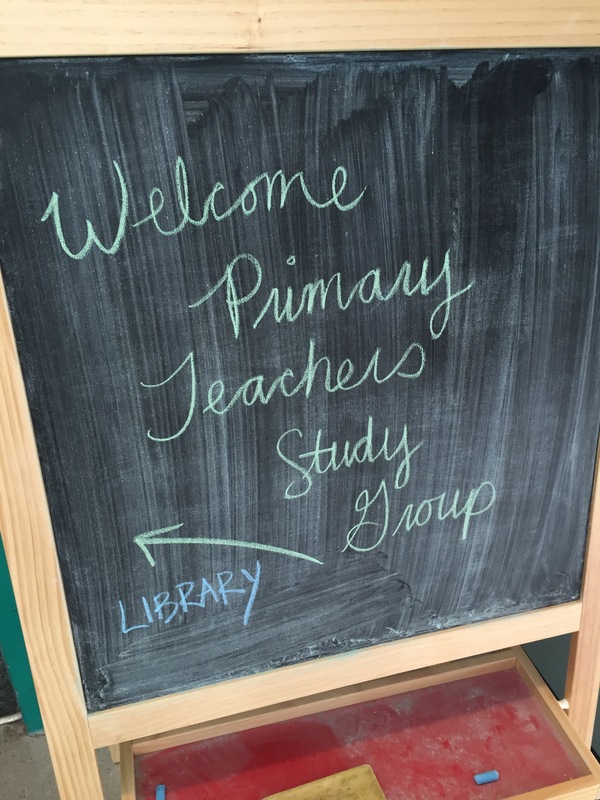 Our final session of the year was hosted by the McNeely team in their library. Teachers shared how they had been thinking about social studies through inquiry with their students. 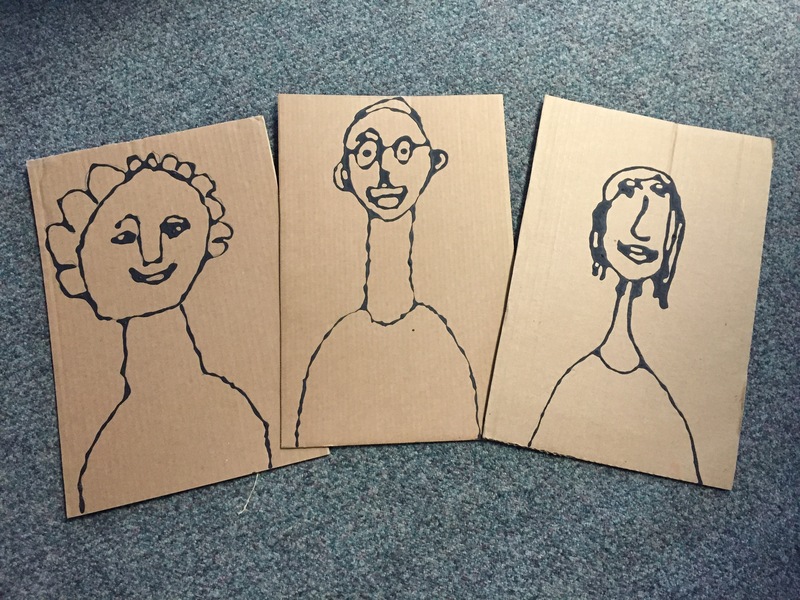 Gillian from Grauer has been looking at diversity in Canadian communities and as an art experience, students drew portraits of themselves and then created outlines just using glue coloured with black tempera paint, squeezed onto recycled cardboard pieces. 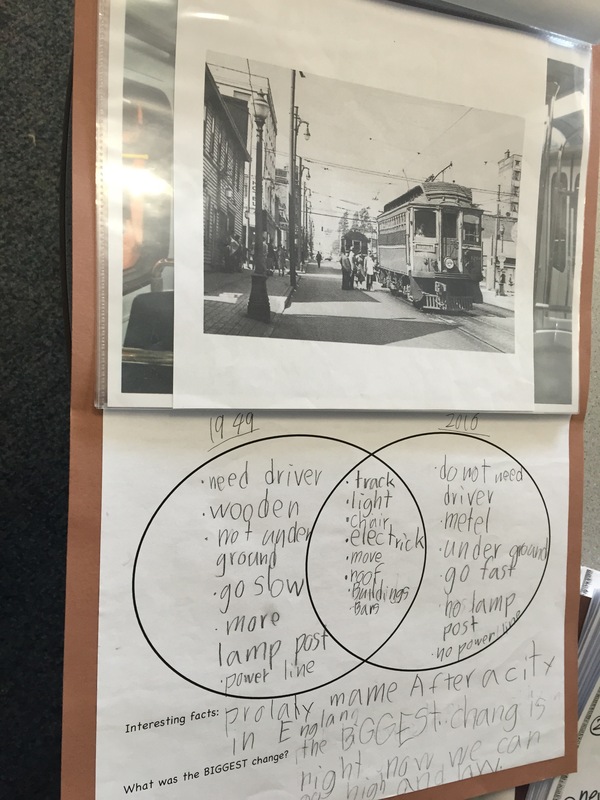 These art pieces, displayed together highlighted how much we are the same. 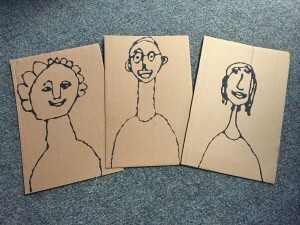 She also had student randomly choose skin, eye and hair colours to paint their portraits to highlight the idea of diversity. Interesting juxtaposition. 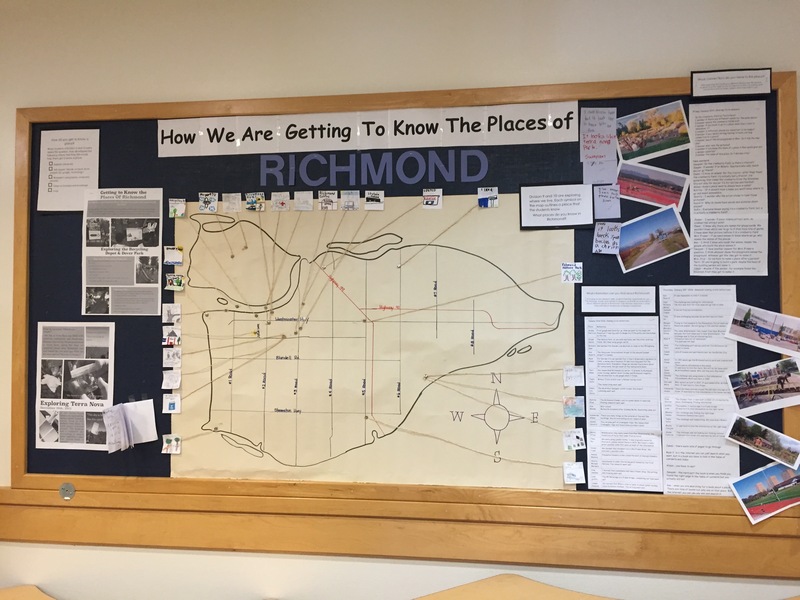 Rehang from Tomsett shared how her class had been investigating what Richmond was like now and in the past. 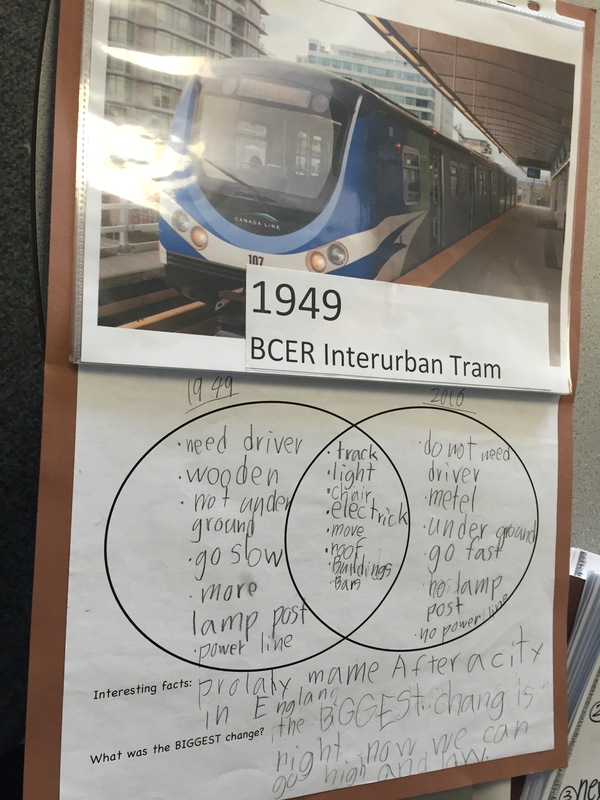 Using archival photos, students compared and contrasted different places in Richmond and different services, such as transportation. 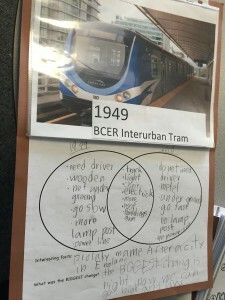 Terra from Homma shared an inquiry into the students’ names and their realization of the power of names and how they are linked to personal identity. 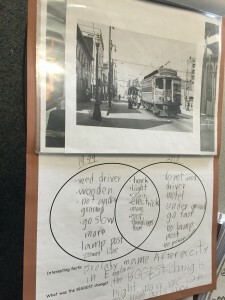 Jenna from Homma shared the Newbery award winning (thanks Shannon) picture book Last Stop on Market Street and the potential for connections to big ideas of community, diversity and social responsibility. Jaclyn and Karen from Blair shared their ongoing study of place, recently looking at a map of BC and the different First Nations territories. 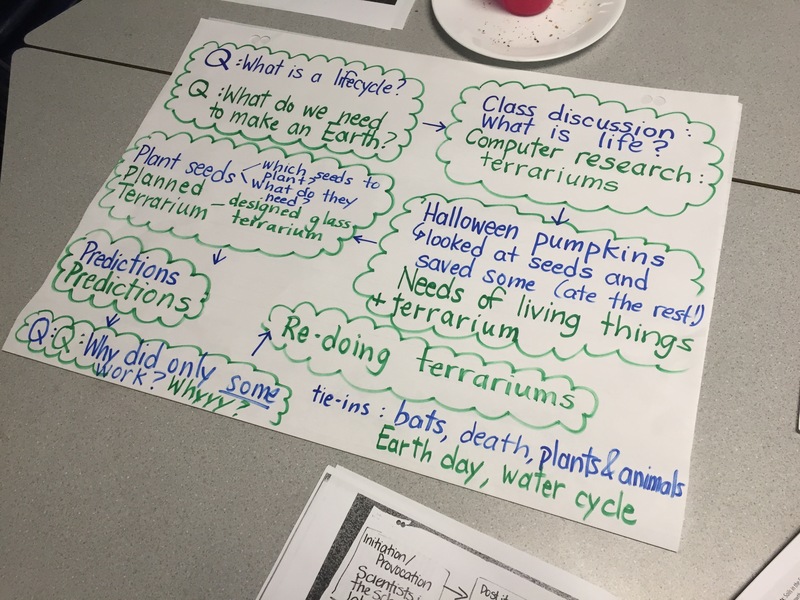 Anna, Deanna and Shannon from McNeely shared their garden inquiry and all the student investment that has gone into planning and planting. 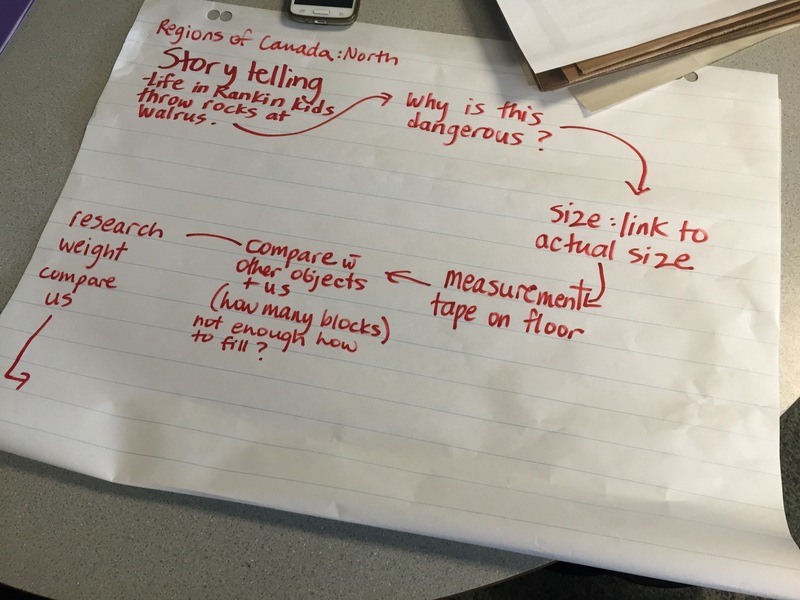 After our sharing time, teachers were asked to work together to create an inquiry map of one of the inquiries they engaged in with their students this year, based on the work we have done in our study group. 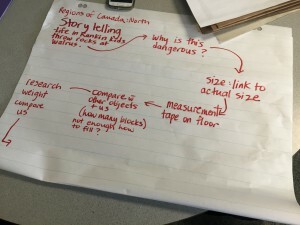 The idea of this kind of mapping came from a workshop some of us from the group attended in early April, facilitated by the Ontario group Natural Curiosity. 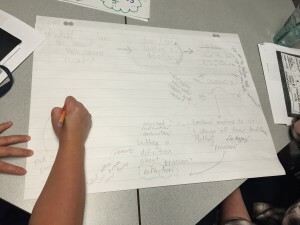 Teachers began with the starting point or provocation for the inquiry and then mapped how the inquiry unfolded with the students, noting significant events that were either turning points or high engagement points for the students. 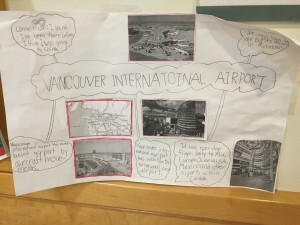 The teachers agreed that this was an interesting way to reflect on their studies with their students and a way to be mindful of what structures or events proved effective and engaging for our students. At the end of the session, we discussed what would like to focus on next year in this group. 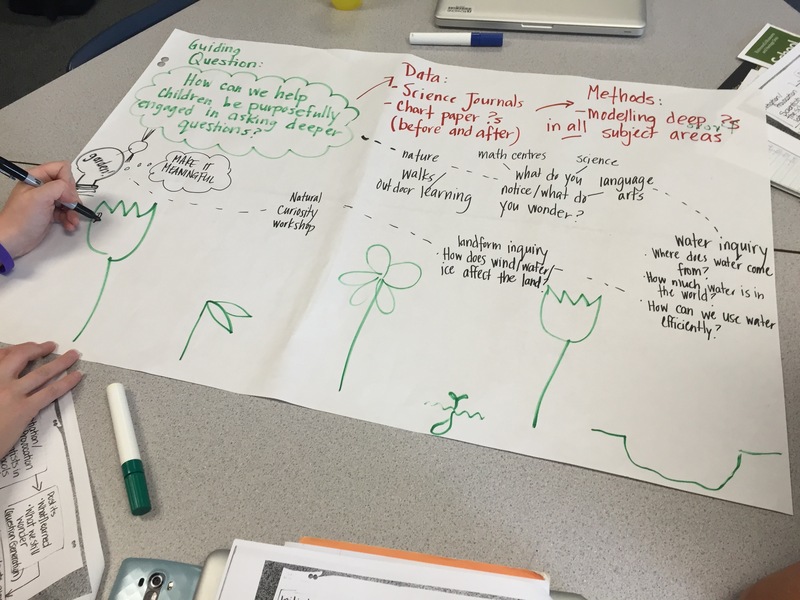 Many teachers are interested in outdoor learning and looking at more interdisciplinary or environmental inquiry. 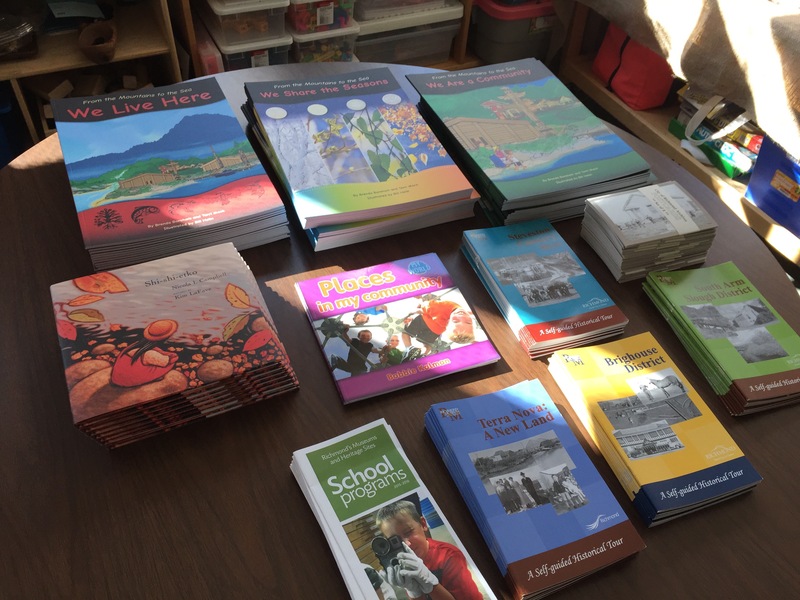 The area of personal stories as well as stories of family and community was an area of interest. 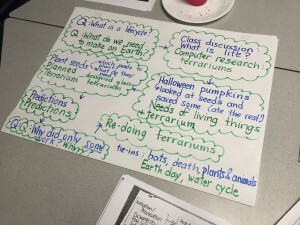 There was also discussion around documentation to support student inquiry and the way that technology might support that. Study group members will continue to cast their votes and we will see where next year takes us!